The latest addition to the Dilworth Business Series is the collaborative boutique, Summerbird, located on the ever-popular East Boulevard! Summerbird is best described as a “collaborative boutique” – meaning, one-of-a-kind consignment pieces on display with a boutique feel.If you are on the hunt for a unique outfit for an evening out or just want to kick your wardrobe up a notch, Summerbird is the place for you.With custom built wracks of dresses, denim, shoes (Louboutin boots! ), & accessories all set to the background of a charming Dilworth bungalow, your shopping experience at Summerbird will be anything but dull! Whether you have items to consign, or are looking for a few extra pieces, this eclectic boutique will be sure to cater to you. Recently we had the chance to catch up with owner, Cindy Siesel, to get her take on why Summerbird is one-of-a-kind and why you MUST pay it a visit! Take a look at a few photos we snapped, a fun Q&A, and be sure to check out their Facebook page for updates on their events! How long has your business been in Charlotte? Dilworth? We opened in December of 2010! Why did you choose Dilworth over other areas in Charlotte? We absolutely love the diversity and CHARM of Dilworth — nothing else compares!What have you come to love about the neighborhood? There is such a range of local businesses in Dilworth and such diverse people too.What is your favorite experience or most surprising experience about being located in Dilworth or having Dilworth clients? We’ve been surprised by how much collaboration with other businesses we’ve experienced. It’s such a great community to have a local business! What is your favorite lunch or dinner spot in Dilworth? Any partnerships or good working relationships with other Dilworth businesses? Absolutely – that is what being a collaborative boutique is all about. We all have our niche and can play off each other. I am lucky to have great working relationships with all the businesses in Dilworth. What sets you apart from other specialty shops in Charlotte? 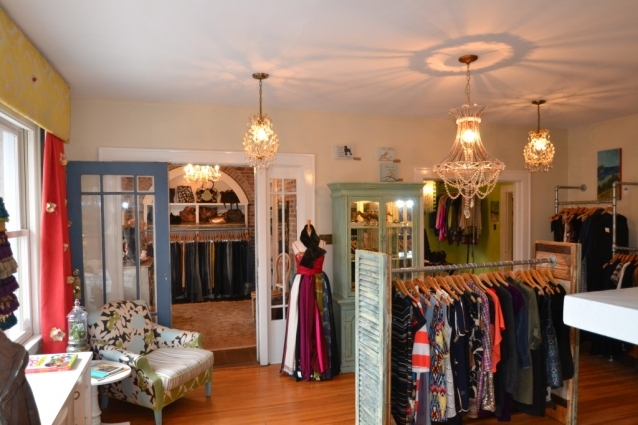 Summerbird is the only consignment store with a boutique setting. We also collaborate with local artists to showcase their works of art. What else would you like the community to know about Summerbird? We support local charities and create pop-up shops for local vendors to highlight their goods. I love what I do!